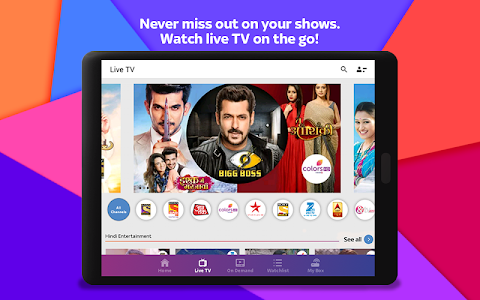 Now carry your TV wherever you go. 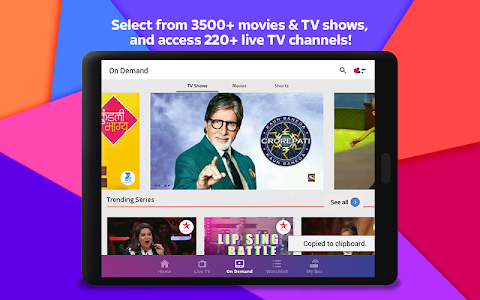 Watch Live TV with over 400 channels and catch your favourite shows and movies on demand from over 3500+ titles! 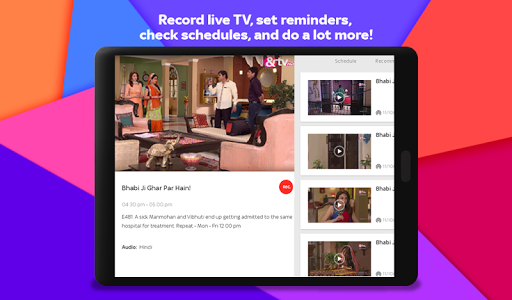 That’s not all, you can also use this app to set reminders and record your TV programmes on your set-top box. 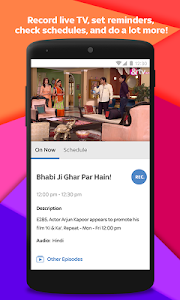 - Schedule: Browse through 3-day programme listings with synopsis. 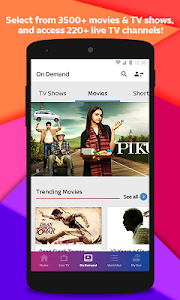 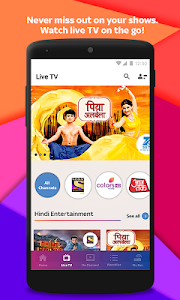 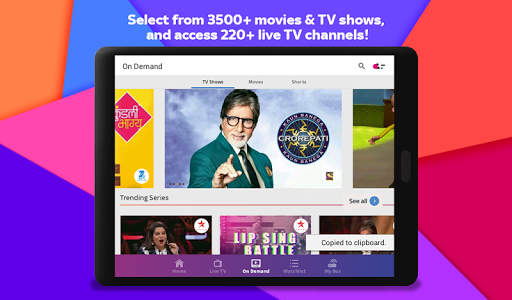 Watch the latest and your favourite TV shows (Indian Idol, Taarak Mehta ka Ooltah Chasma, The Kapil Sharma Show, Kaun Banega Crorepati, Bhabhiji Ghar Par Hai, Kundali Bhagya, Naagin 3, Mazya Navryachi Bayko ), movies, live sports streaming (cricket, football, tennis, badminton, Premier league, kabaddi, WWE, etc.) 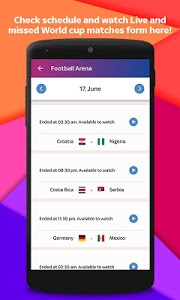 on your Android/iOS device for free. 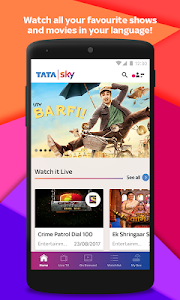 Tata Sky is a live streaming app that lets you watch your favourite shows, movies, sports & live news on-the-go. 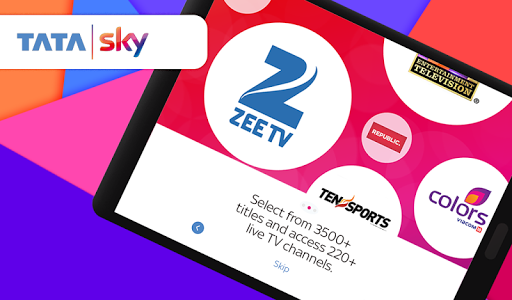 Get cricket live scores and latest updates. 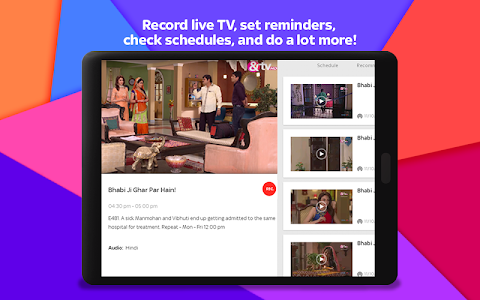 Tata Sky gives you the ability to pause and play along with live TV. 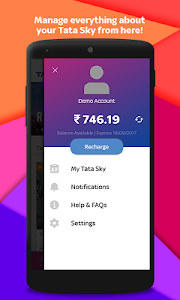 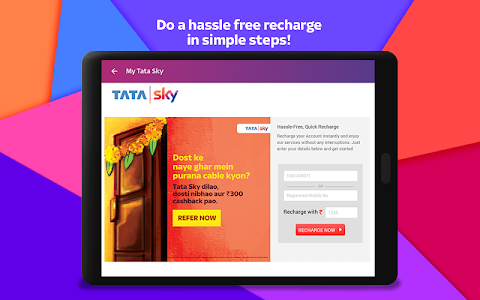 Now do your Tata Sky recharge online through app in a hassle-free way. 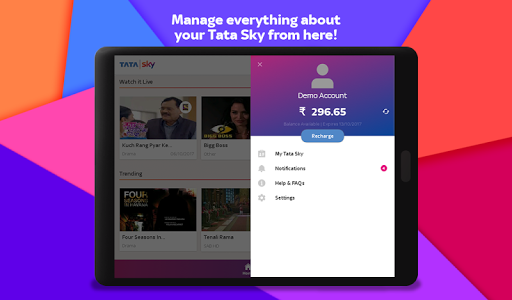 You can manage your Tata Sky account and get help at any point of time without the need to access the website. 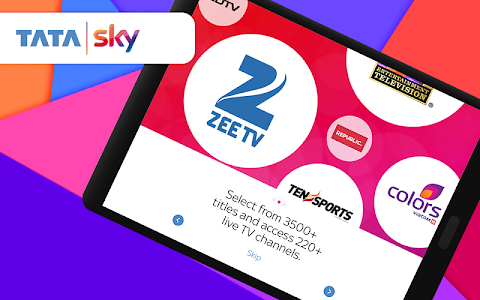 Tata Sky gives you the best of entertainment on the go with your favourite channels and so much more! 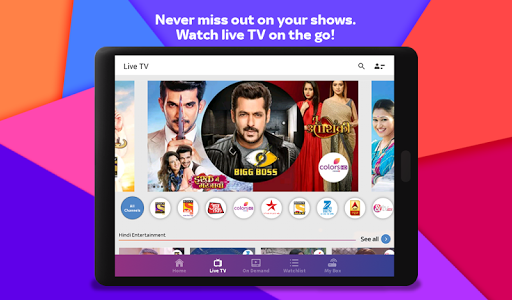 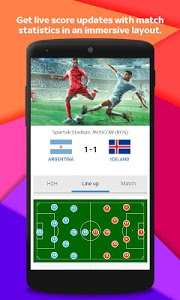 It is the easiest and quickest way to have access to Live Indian TV channels, Hindi Movies, South Indian and International Movies, Live Sports, Breaking News, gossip, devotion and more. 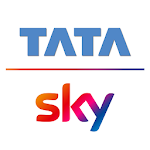 Watch the best of Tata Sky Live TV channels with Sony, Star Plus, Colors, Zee TV, SAB, &TV; Live News with Aaj Tak, ABP News, NDTV India, India TV, News 24, Republic TV; Regional Content with ABP Majha, ETV Telugu, Gemini TV, ETV Telugu, Colors Kannada, Gemini Movies; Movies with Zee Cinema, Sony Max, Movies OK, B4U Movies; and devotional with God TV, Darshan 24, Shraddha, Pragya & Aastha TV. 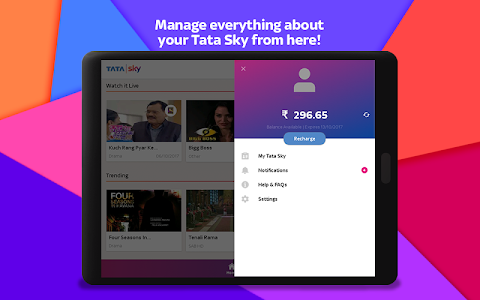 Similar to "Tata Sky Mobile- Live TV, Movies, Sports, Recharge"